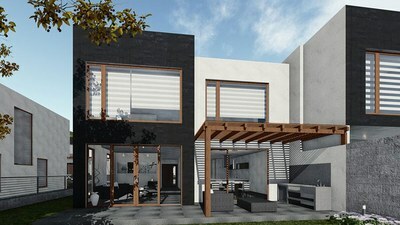 /DLC Diseño y Construcción Cia. Ltda. Condo #3 is part of the condo buildings of the beachside community COSTA SOL and is located on the third floor. With its ideal location as part of this community, the condo offers the best quality of life, comfort and privacy, in a 1,195 sq. ft. (111 m2) of interior area designed with large open spaces, 3 comfortable bedrooms, 2 full bathrooms, a living/dining room, kitchen and laundry room. Along with the condo, you will have access to the amenities offered by COSTA SOL, such as the community pools, recreation areas, and BBQ area. Don't wait any longer to come visit and see your new future life on the beach! Condo #2 is part of the condo buildings of the beachside community COSTA SOL and is located on the second floor. With its ideal location as part of this community, the condo offers the best quality of life, comfort and privacy, in a 1,195 sq. ft. (111 m2) of interior area designed with large open spaces, 3 comfortable bedrooms, 2 full bathrooms, a living/dining room, kitchen and laundry room. Along with the condo, you will have access to the amenities offered by COSTA SOL, such as the community pools, recreation areas, and BBQ area. Don't wait any longer to come visit and see your new future life on the beach! This is a 4 Beds / 4 Baths model home with 2282 sq. 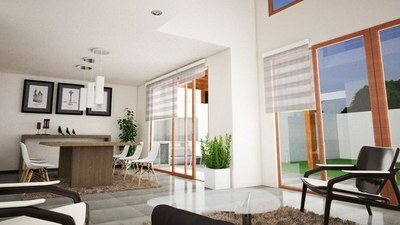 ft. (212 m2) of interior area on a lot size of 5,382 sq. 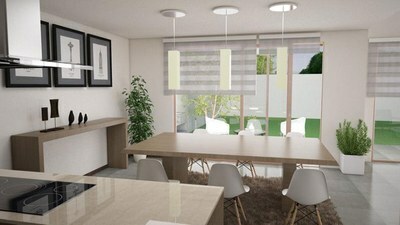 ft. (500 m2). 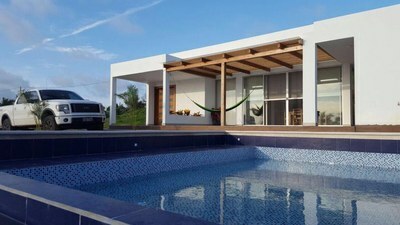 However, you can choose between any of the available lots at COSTA SOL, each with their own unique characteristics based on the location. All of the homes have living/dining room, kitchen, laundry room, and 4 parking spaces. For an additional cost, we can deliver your new home with a private pool and jacuzzi on your land, air conditioning, fully equipped kitchen with an exhaust hood, oven, microwave, refrigerator, washer, and drier. Contact us today to come see your new dream home!